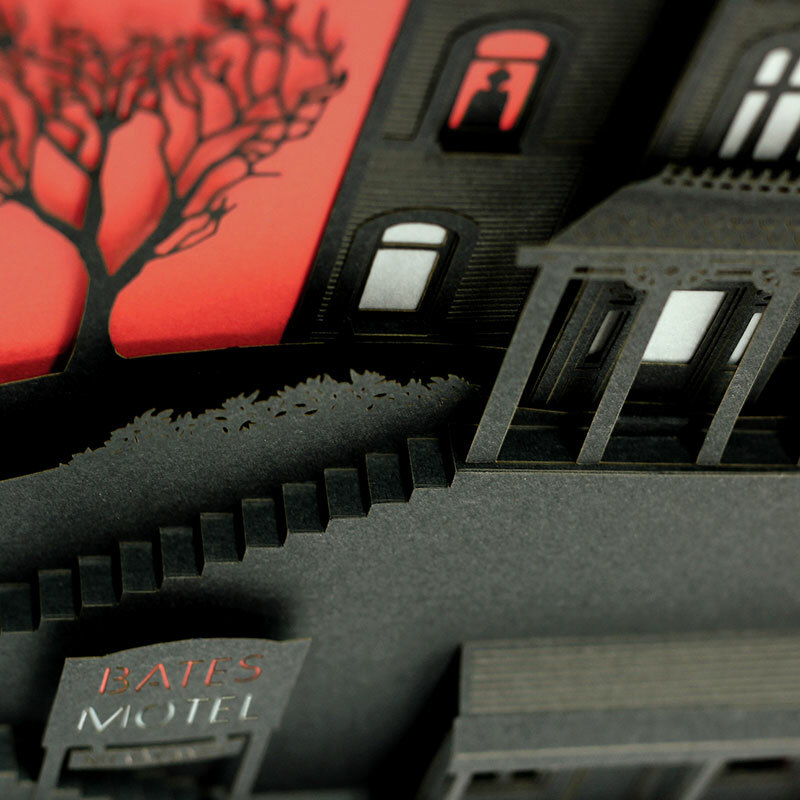 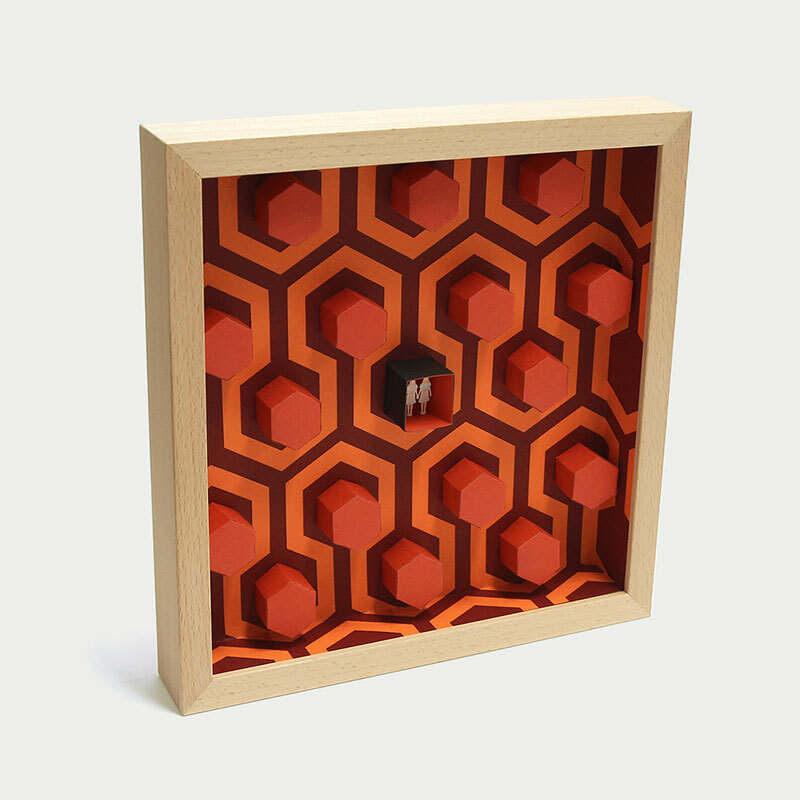 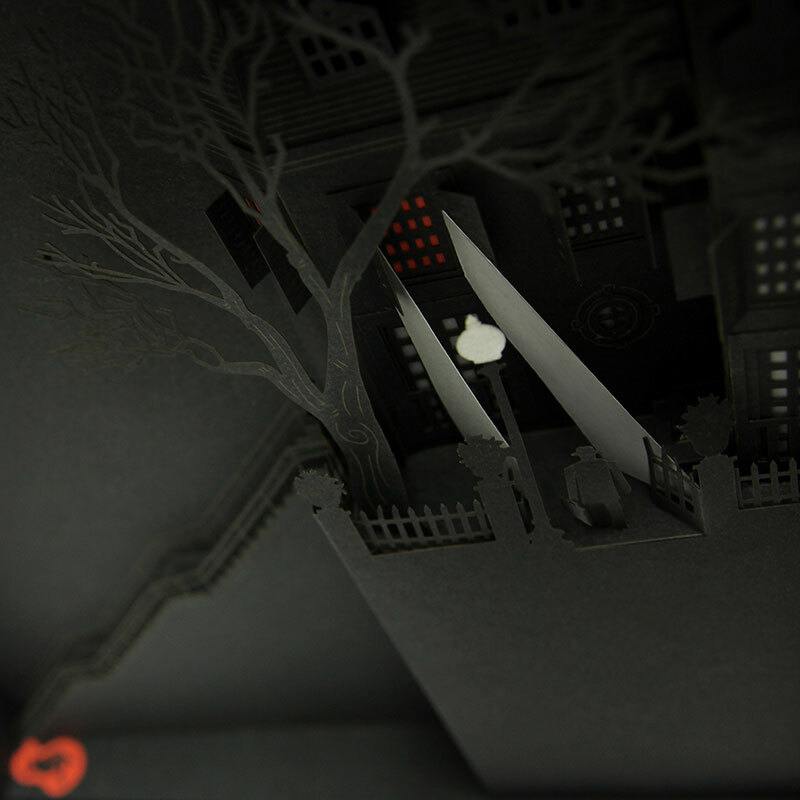 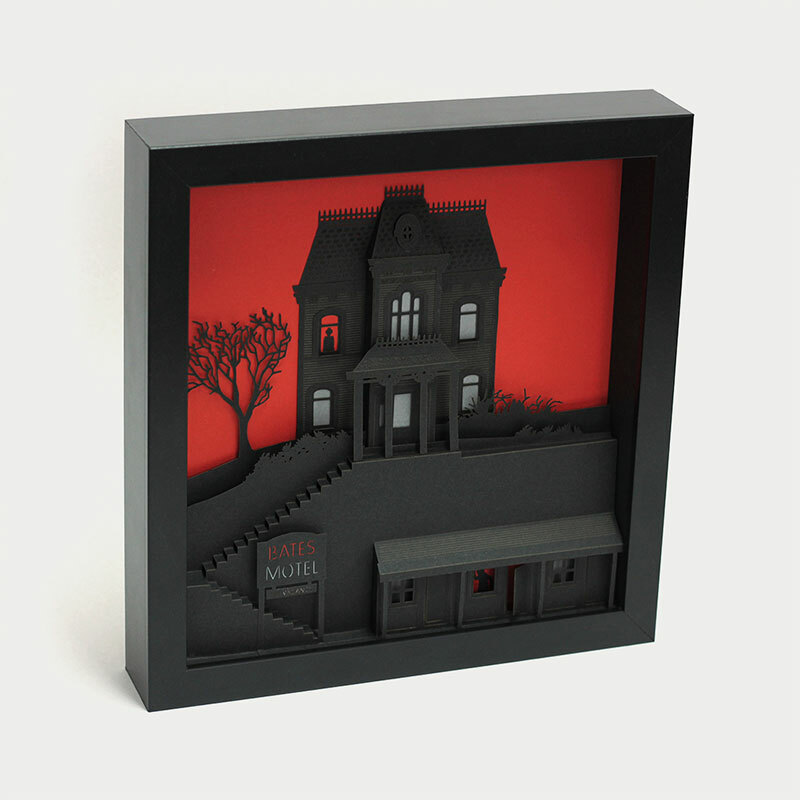 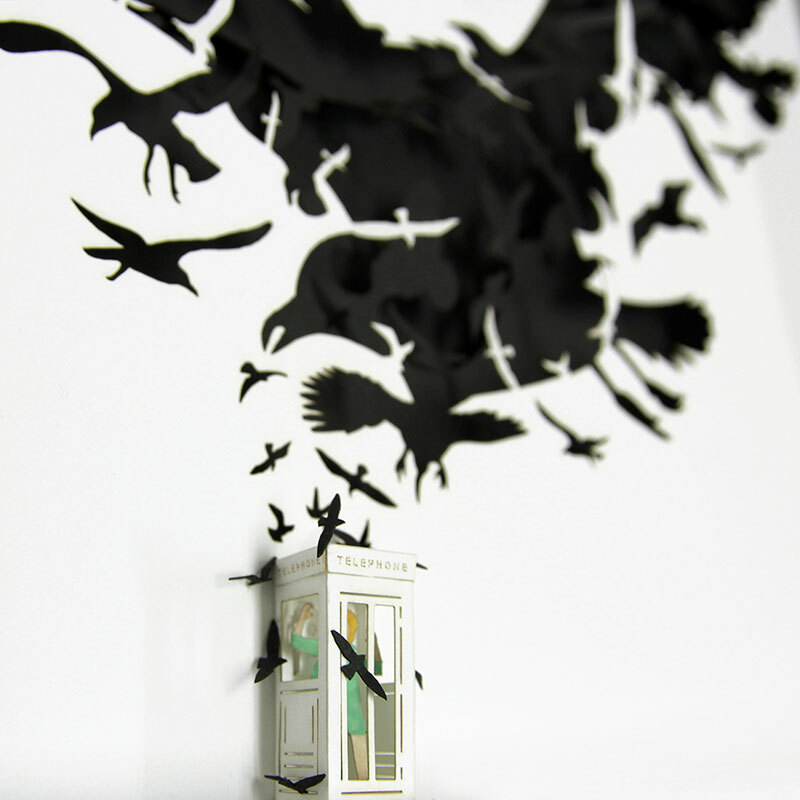 Three dimensional paper art inspired by films such as Psycho, The Birds, Vertigo, The Exorcist, and The Shining by Spanish designer Rubén Martínez. 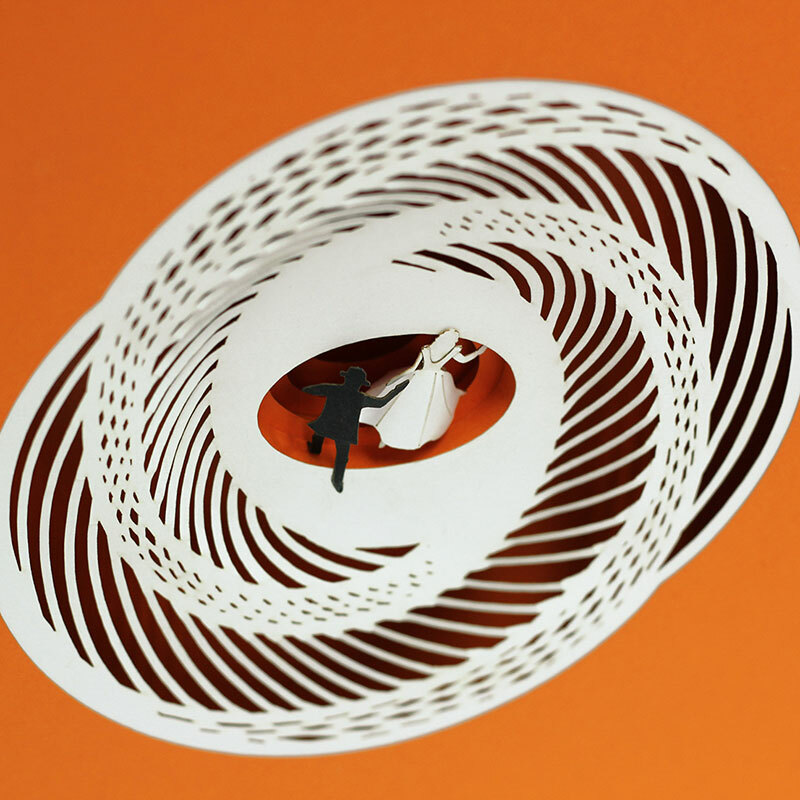 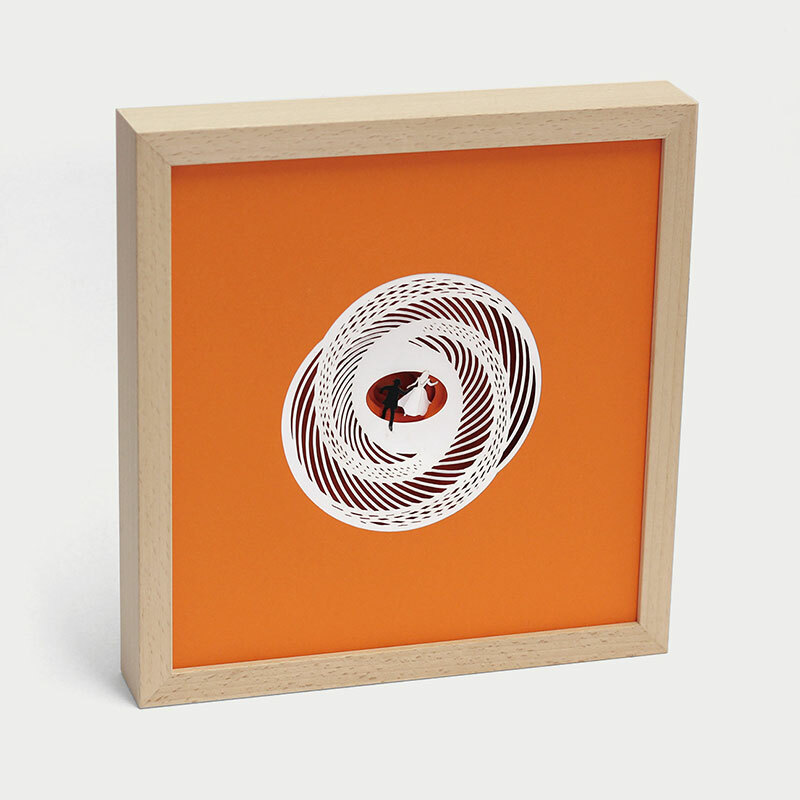 The minimal artworks are designed, modeled, and requires the use of a high-precision laser cutter to get the details and proportions correct on a small scale. 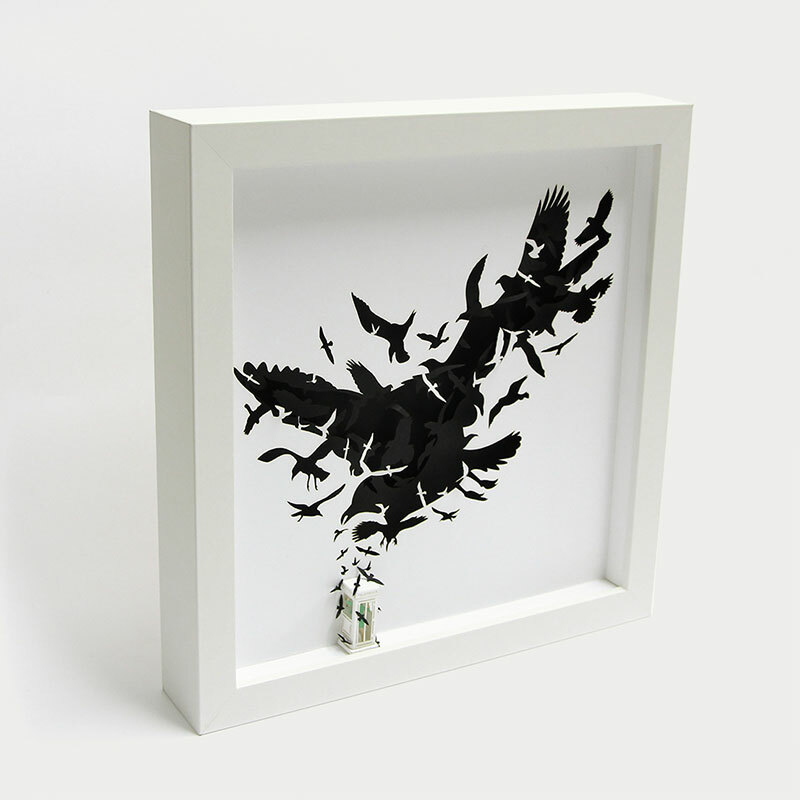 The pieces are assembled by hand and sold on his website The Smallest Boy. 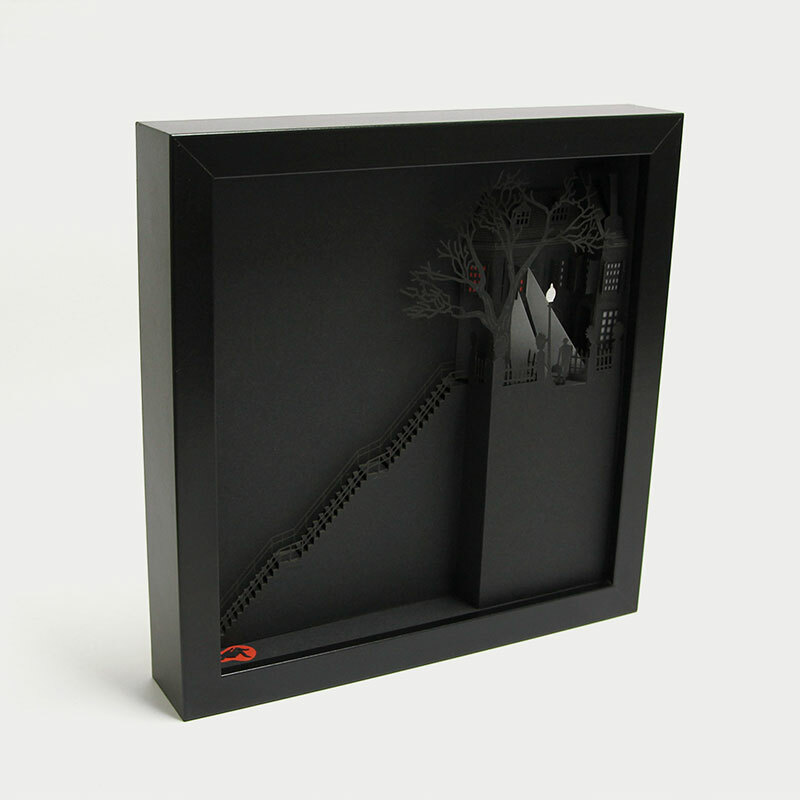 The Smallest Boy represents small things to big people and born of individual and collective visual imagination to recreate memories, dreams and realities in miniature. 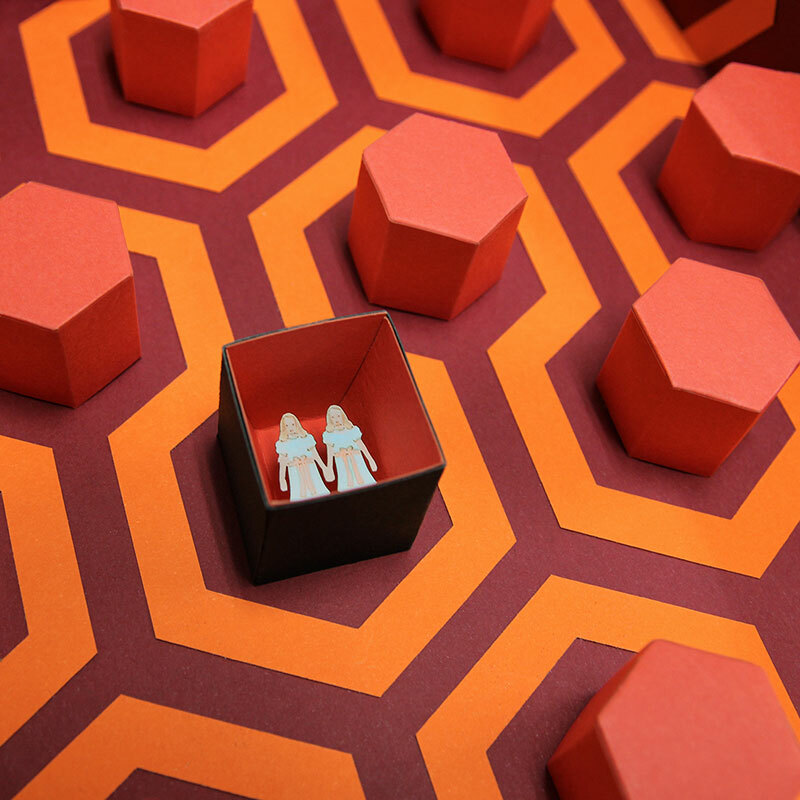 Three dimensional paper art inspired by films such as Psycho, The Birds, Vertigo, The Exorcist, and The Shining by Spanish designer Rubén Martínez.